Stale Gum: Tournament of Gimmicks: THE MATCH-UP OF THE CENTURY HAS BEEN SET!!!! Tournament of Gimmicks: THE MATCH-UP OF THE CENTURY HAS BEEN SET!!!! The results of the T.O.G. Semi-Finals are in! The Championship Match-Up to crown the worst gimmick of all time is now set. 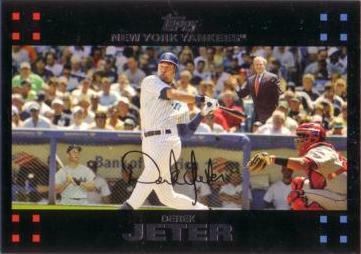 Will the upstart Jeter/Bush/Mantle card from 2007 Topps be crowned the dumbest gimmick in Hobby history? Or, will it be Yankee Tedium Lunacy? WHO WILL CUT DOWN THE NETS? 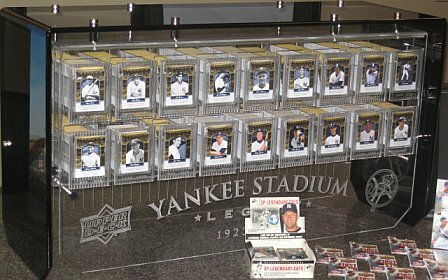 Stay tuned to this, and many other fine cardblogs, TOMORROW!